Patios and walkways provide structure and direction to visitors, a safe walking surface to the entry points of the home, and aesthetically providing a sense of permanence to even the newest landscapes. 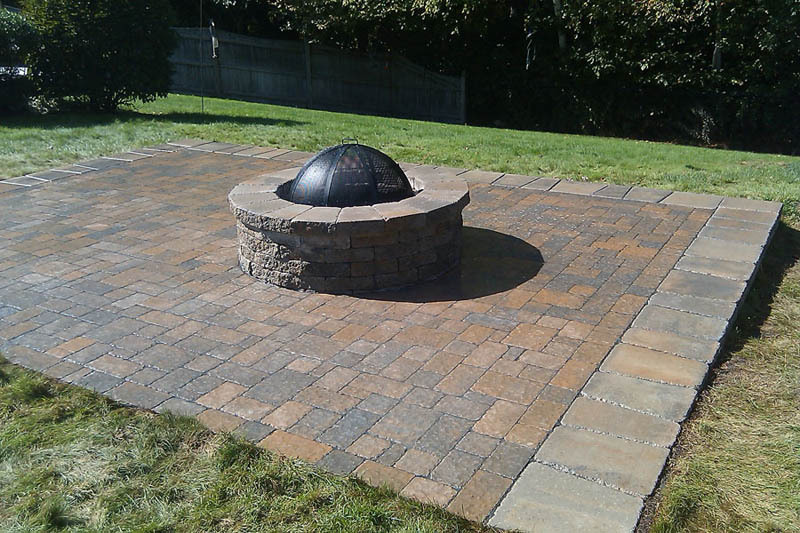 For nearly 20 years, S and S Landscaping has installed walkways with clay brick, natural stone, and concrete pavers in virtually every color and pattern imaginable. 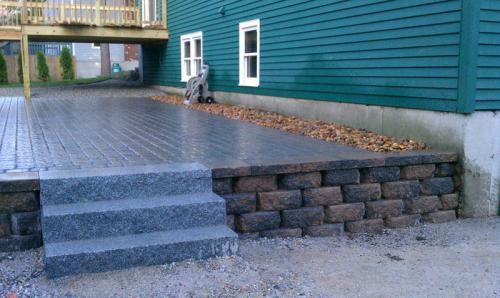 Brick patios and walkways are only as good as what’s underneath them. Clay brick and concrete pavers are very popular in New England not only because of the colonial influence on homes here, but because it is a segmented paving system. Think of it as “pre-cracked.” Freeze-thaw cycles can do a number on an impervious pavement like poured concrete or asphalt. 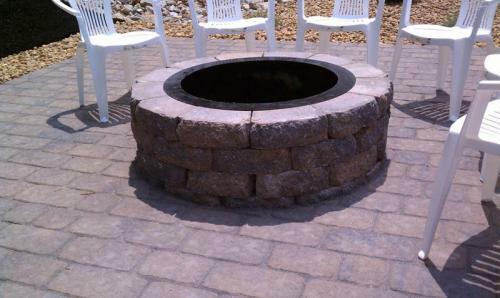 Paving bricks allow for a little shifting without affecting the integrity of the surface. To minimize the movement of walkway or patio pavers, however, the base has to be built with the correct sand and gravels. We install our walkways and patios in the same landscape materials that we sell in our Materials Center – crushed gravel and concrete sand. Big projects too! 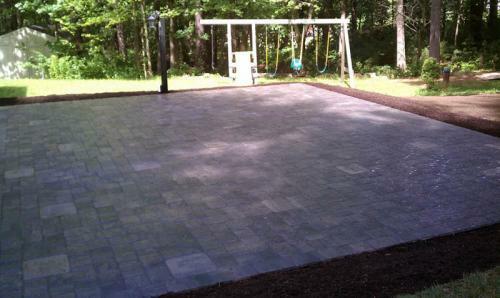 Are you considering installing an in ground swimming pool? Before you hire a pool contractor to pour a concrete deck around the pool, call us for a free estimate on installing concrete pavers. Driveway need to be re-paved? Nothing says “elegance” like a concrete paver driveway! 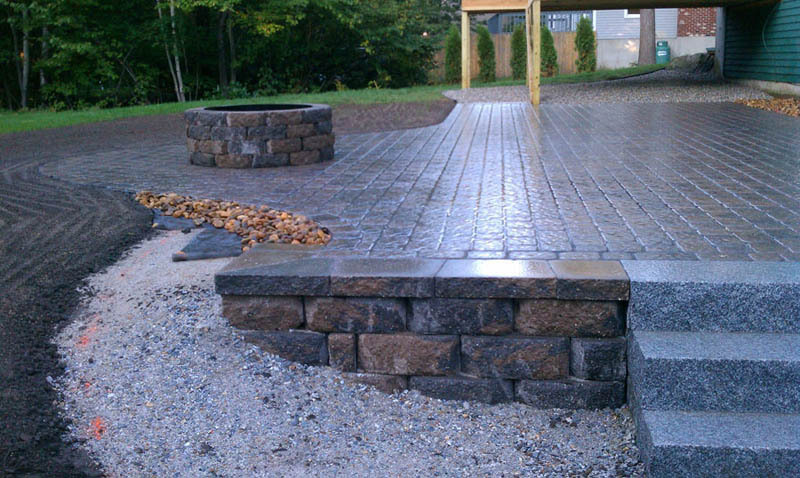 We will select the best quality paving stones for your driveway and install them with a solid base that will stand up to the worst New Hampshire winter!